Just as it shouldn’t take an attempted underwear bombing to ensure that airports employ sound security practices, it shouldn’t take a gaping 5-foot hole in the roof of a jet to ensure that aircraft undergo proper inspections. 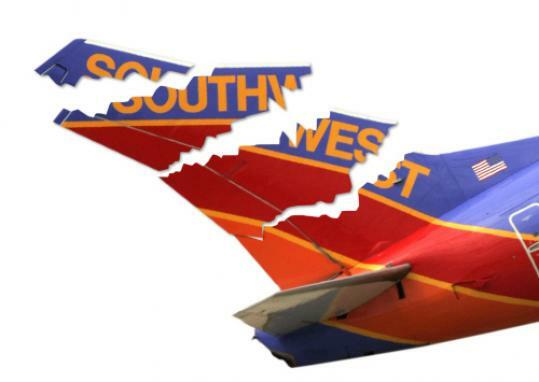 Yet the Federal Aviation Administration is playing catch-up after an aging Southwest Airlines Boeing 737 began tearing at the seams while flying from Phoenix to Sacramento last Friday. The FAA issued a too-limited response earlier this week, ordering emergency inspections of older 737s with 30,000 or more flight cycles. (A flight cycle is one takeoff and one landing.) But the majority of older-model 737s have only completed somewhere between 20,000 and 30,000 cycles. To the flying public, this hands-off approach doesn’t make sense, especially after Boeing itself admitted to being caught off guard last week. The FAA should press for additional, regular inspections of all older-model 737s much earlier — no later than after 20,000 cycles. The agency must also assess whether other types of aircraft are susceptible to the same problem. The extra regulation wouldn’t be too much of a burden for airlines — the inspections are quick and inexpensive — but would boost the confidence of fliers. Whatever the benefits of flying Southwest, an open sun roof shouldn’t be one of them.